Yesterday my daughter was given a Tardis Mug, you put the tea in it and the tardis disappears from one side and appears on the other. Excellent. What tea has to do with Doctor Who I’ve got no idea, but never mind. After all, one of the great things about your children being very into a book is that you can buy them the Top Trumps set or find really silly themed T-shirts. Anyway, you only really get merchandise in all its glory with a franchise. That is with books which have made it to series, that are selling in vast quantities and promise more and more. These are great, don’t get me wrong, but there is something uniquely satisfying about reading something and knowing it’s a one-off. Wanting desperately to go back into a world but knowing that you can’t. It’s also quite hard to do as a writer, not only are the publishers asking you for more of the same (if it’s any good), but you’ve just spent a lot of time with those characters, you know them really well, and it’s a real shame not to be able to hang out with them anymore. But what made me think about this, is that my daughter (Tardis mug) has just finished Go set a watchman, and really liked it. Just in case you’re not as obsessive a books pages reader as I am, this book is the sequel to Harper Lee’s extraordinary, and frankly un-improvable, To kill a mockingbird – in my mind, the perfect stand-alone book. 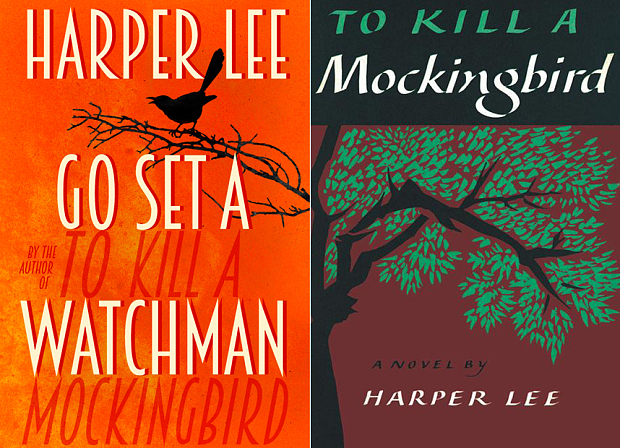 I’ve talked about TKAM elsewhere so there’s no need to do it again here, but suffice to say I’m not looking forward to the sequel. It’s had some bad reviews and some good ones, my daughter really enjoyed it, most papers hated it. She said it was about growing up and realising your parents aren’t perfect, a reminder of which I have no real need. I suspect I will read it once and never again, whereas TKAM gets picked up and dipped into a lot. One of those books that reminds you what it’s like to be a child when you just devour your favourite book over and over again. Anyway, I always thought Mockingbird would be top of the stand-alone list, and thus I have made it so, even though I didn’t oughta. 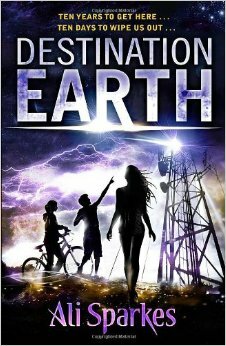 Ali Sparkes – Destination Earth. Ali is one of my favourite writers. I optioned a fantastic book of hers (Frozen in time) and tried unsuccessfully to make it as a TV show for the BBC. It had won the Blue Peter award and I have certainly talked about it elsewhere. This is her latest, and it’s another winner. It’s not just that this is well plotted, Ali is an ex-comedian, which makes her a very funny writer – she likes nothing better than putting children into slightly bonkers situations which test them to their limits – in Frozen in Time two children from the 50s had to cope with the 21st Century, and here an alien has to pass herself off as a regular 14 yr old. Of course there’s a massive twist, but I wouldn’t dream of spoiling it for you, just read it. Mal Peet – again I feel like I’m repeating myself, because I’ve gone on about him elsewhere, but he is just so good. I would say he is the stand-alone writer that we would all like to be. All his books are totally different, and all are brilliant. There are three about the same sports journalist, but the plots are individual, complete, and, for want of a better word, stand-alone – these are in no way sequels. Also I’ve just got his last book which I bought for my son, and then knicked back so I could read it first. It will be his last as he really sadly died a few months ago. 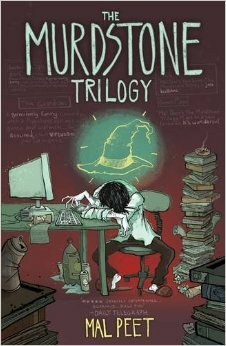 And yes, despite being called The Murdstone Trilogy, it is emphatically a one-off. And it is as fantastic as his other books, I’ve gone on about Keeper, Tamar, Life an exploded diagram, and the rest until you’re probably never going to read them, so I won’t make the same mistake with this one. He’s allegedly for YA readers, but I can’t imagine ever not enjoying these books. Instead I shall tell you about more stand-alones that I have never been able to get into a post before. 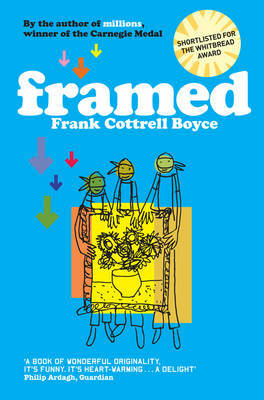 These three by Frank Cottrell Boyce are all fantastic. To be fair, I have mentioned them before, because the only way I could improve on Framed, was to get Framed as an audio-book. Which is in turn a great way to get reluctant readers into narrative. Play them the book and I can almost guarantee they’ll want to revisit it again and again. Also, audio books don’t skim (unlike parents at bed-time) so you get every bit of juice squeezed out of the book. And when they’re as funny as these three, that’s a great thing. Almost my favourite thing about these three is how unforced the humour feels. It’s observational and character based. No easy gags here. They are about children we instantly recognise because we know them. We’ve either been them, or we have them. They’re sitting in the room next door. Plus, as he’s an ex Coronation Street writer, he knows how to deliver a plot. Funny, anarchic, just surreal enough, and really intelligent, these are brilliant. 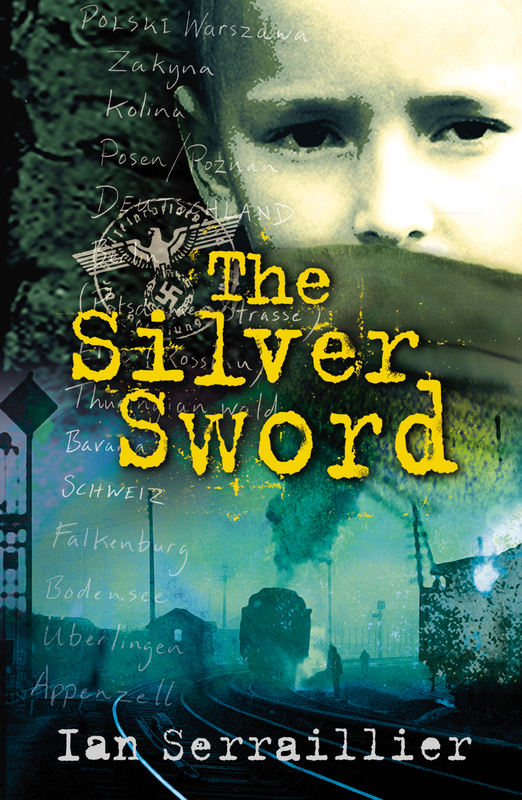 The Silver Sword by Ian Serraillier is one of my all time favourite books. An odyssey, a coming of age story, betrayal, separation, adventure, excitement and Nazis. What more could you possibly want? And we can’t have The Silver Sword without also having The Machine Gunners. 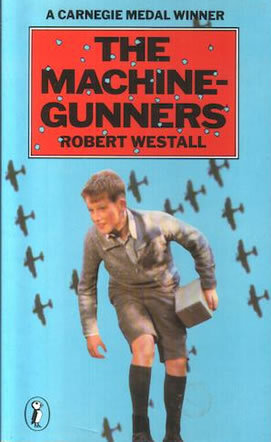 Robert Westall’s absolutely fantastic story about boys in the war who find a machine gun on a crashed German plane. They leave it there and report it to the authorities. Of course they don’t, they steal it from the plane, hide it and then you watch what unfolds. 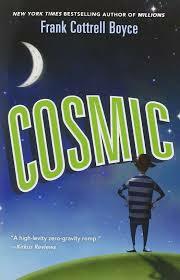 Brilliant storytelling – utterly convincing and nail biting portrayal of boys and their motivations.